[…] Seeking to control the political situation in its favor, the U.S. had set up a covert CIA operation to support the FLNA and UNITA with US$30 million, arms and military advisers. Apartheid South Africa supported the CIA operation by carrying out invasions, incursions and sabotages against Marxist forces within Angola. Cuba’s Fidel Castro deployed 36,000 troops to defend Angola from U.S. and Apartheid South Africa invasions. Angolan President Jose Eduardo dos Santos recognized and thanked Cuba on Thursday for its important support in achieving national independence 40 years ago, TeleSur reports. 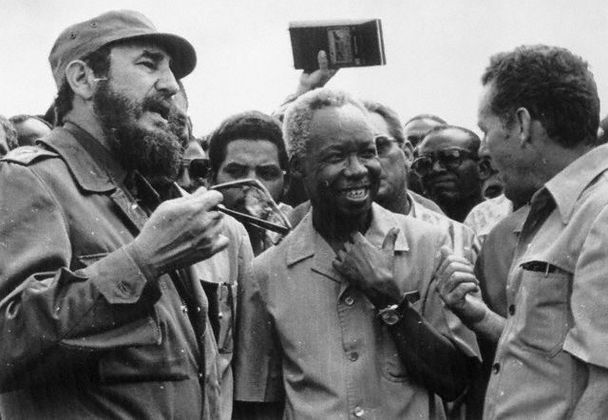 Commemorating four decades of independence from colonial powers, dos Santos invited a Cuban delegation to honor the historical events that led Fidel Castro to deploy 36,000 troops to defend Angola from U.S. and Apartheid South Africa military invasions. While Angola won its independence from Portugal on January 15, 1975, inner political conflicts escalated between the leftist People’s Movement for the Liberation of Angola (MPLA), the National Liberation Front of Angola (FNLA), and the National Union for the Total Independence of Angola (UNITA).